GENEVA, Switzerland, March 21, 2012 (ENS) – Palestinians are losing access to water sources in the West Bank as Israeli settlers take over springs. The settlers use threats, intimidation and fences to ensure control of water sources near the settlements, finds a new United Nations survey released today. Thirty of the springs were found to be under full settler control, with no Palestinian access to the area, according to the assessment carried by the UN Office for the Coordination of Humanitarian Affairs over the course of the past year. 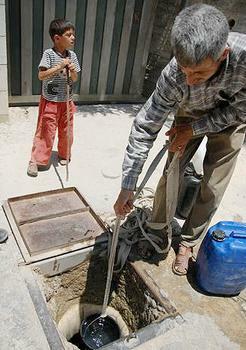 The survey identified a total of 56 water springs close to the Israeli settlements, the majority of which are located in Area C – which represents over 60 percent of the West Bank where Israel retains control over security, planning and building – and on land parcels recorded by the Israeli Civil Administration as privately owned by Palestinians. 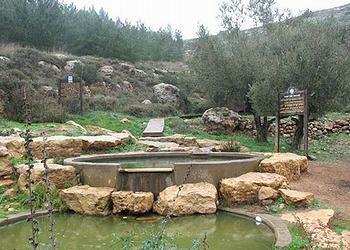 In 22 of the water sources, Palestinians have been deterred from accessing the springs by acts of intimidation, threats and violence perpetrated by Israeli settlers, while in the eight springs under full settler control, Palestinian access has been prevented by physical obstacles, including the fencing of the spring area, and its “de facto annexation” to the settlement. 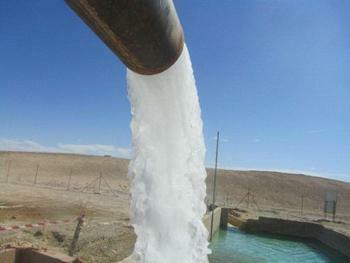 “Despite the decline in their yield, springs have remained the single largest water source for irrigation and a significant source for watering livestock,” the report says. The survey also points out that the loss of access to springs and adjacent land reduced the income of affected farmers, who either stop cultivating the land or face a reduction in the productivity of their crops. In Geneva, the UN High Commissioner for Human Rights Navi Pillay said human rights challenges in the occupied Palestinian territory are linked to the continuing expansion of Israeli settlements, including violence by Israeli settlers against Palestinians. “The Israeli government must investigate all incidents of violence against Palestinians and ensure that the perpetrators are held accountable,” Pillay told the UN Human Rights Council’s general debate on the human rights situation in the occupied Palestinian territory and other occupied Arab territories. She also said that Israel’s blockade of Gaza perpetuated poverty, unemployment and the deterioration of health care, education and water and sanitation facilities. On the Palestinian side, Pillay voiced concern over arbitrary detention and ill-treatment of people, especially in Gaza, and urged Palestinian leaders to ensure credible allegations of abuse are investigated promptly and impartially. In a related development, a new report from the Office of the UN Special Coordinator for the Middle East Peace Process says that Palestinian state-building is threatened by financial pressure on the Palestinian Authority and the continued absence of a negotiated settlement to the conflict. The report, prepared for the Ad Hoc Liaison Committee, the 15-member body that serves as the principal policy-level coordination mechanism for development assistance to the Palestinian people, states that in the past six months the Palestinian Authority has continued to realize progress in a range of different areas, including improving the capacity of the security forces in the West Bank and providing basic services. However, the Palestinian Authority continues to face an immediate challenge in meeting its funding gap required to help it honor its obligations and avoid further arrears. “I am very worried about the dire financial situation of the Palestinian Authority as described by the IMF [International Monetary Fund] and the World Bank in their reports,” said UN Special Coordinator Robert Serry. “Our immediate priority must be to ensure that the Palestinian Authority is able to address its budget shortfall, and I therefore call on donors to meet their commitments and also to front-load their contributions. I urge the speedy conclusion and implementation of technical agreements that will both strengthen revenue collection and minimize revenue leakage,” Serry said. The prolonged absence of a “credible political horizon” as a result of the continuing failure by the parties to engage in meaningful negotiations is also beginning to undermine the viability of the Palestinian state-building effort, Serry said. Palestinian divisions and the unsustainable situation in the Gaza Strip, as highlighted by the recent upsurge of violence there, represent fundamental challenges which must also be addressed, he said. Meanwhile, Secretary-General Ban Ki-moon today highlighted the work of the United Nations Relief and Works Agency for Palestine Refugees, UNRWA, noting that the generosity of donors has helped the agency empower countless refugees to seize and create opportunities for a better life.